Lemax Snowy Juniper Trees (Small) Set of 3 miniature village accessory depicts three individual snowed Winter Juniper trees of the same size, adding authenticity to a snowed village scene. Suitable for placement by hand or glue in and amongst a Lemax Christmas miniatures setting. A scenic Lemax Village miniature addition, joining the Lemax collection in 2013. 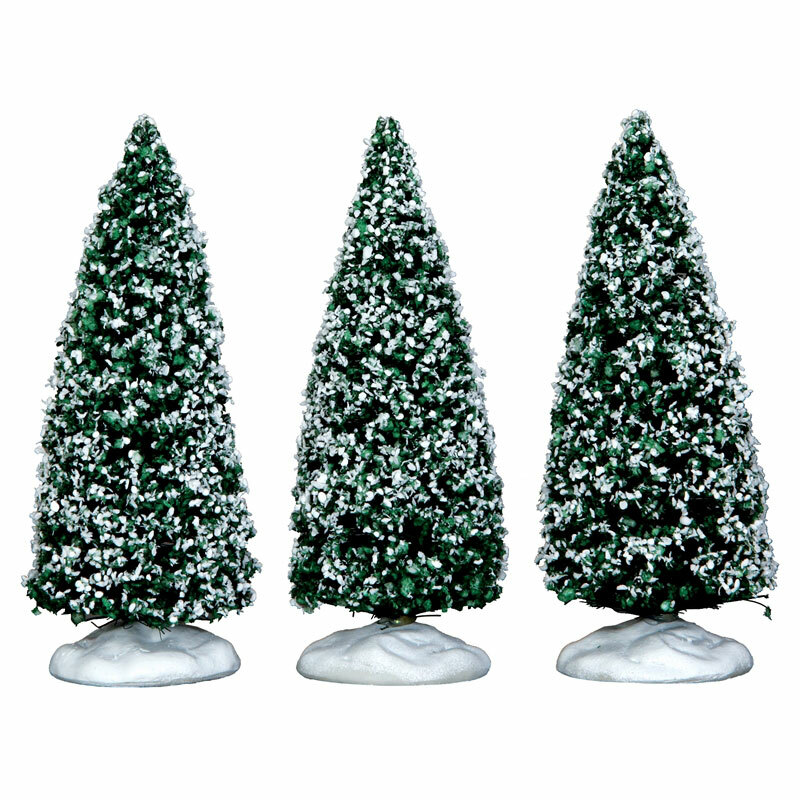 Set of Snowy Juniper Trees are self standing, individual snowed trees on individual snowed bases to compliment your seasonal Lemax Village display.